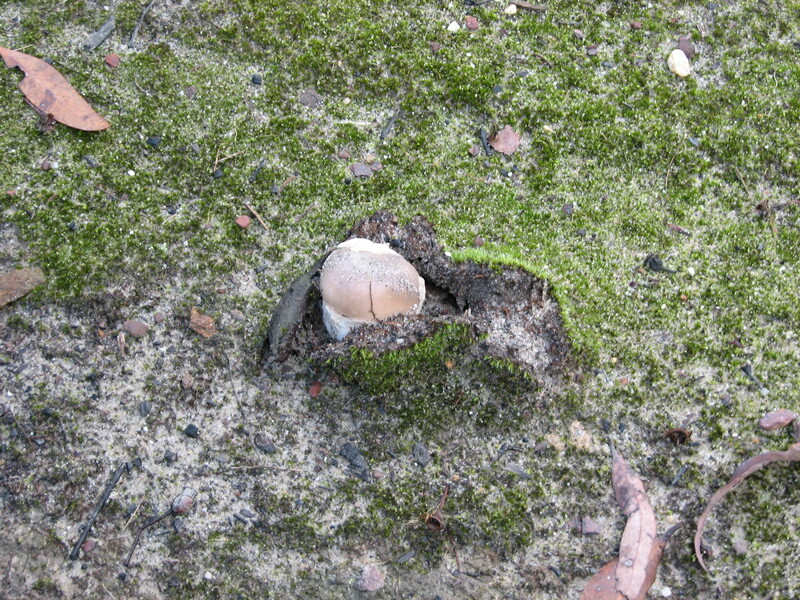 After the rain, fungi are everywhere, breaking through the damp soil. 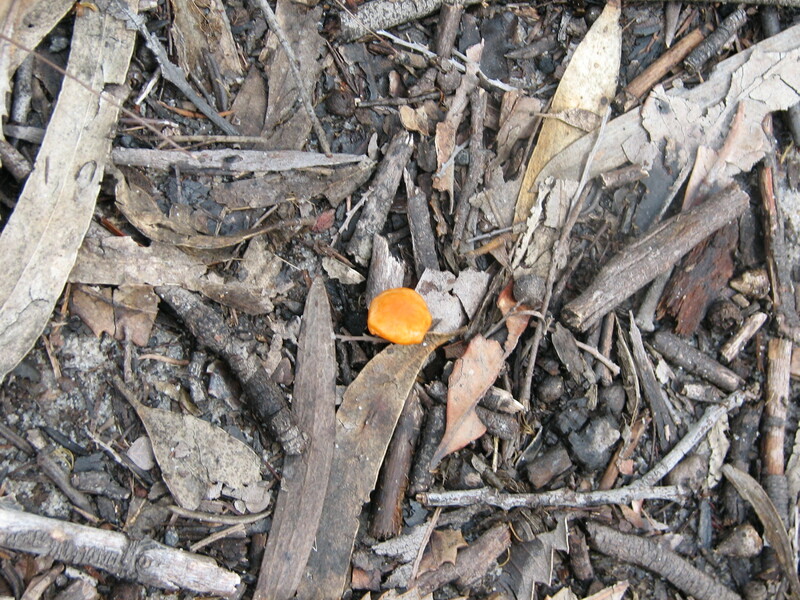 The part we see above the earth is only the reproductive structure, the fruiting body. The rest of the structure is underground, and can go for kilometres. These strange eyeball-like protubences have suddenly appeared in the mulch in the front garden. 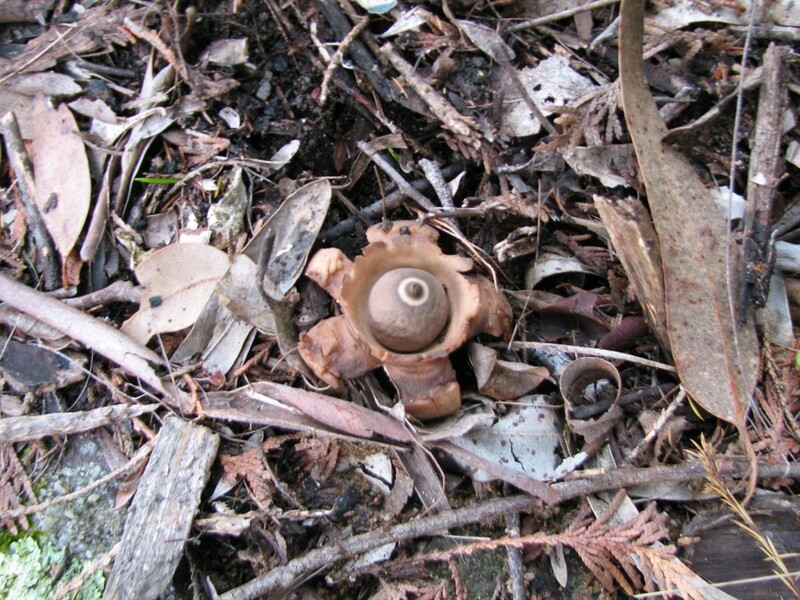 They are called Geastrum or ‘earth stars’, due to their star-like frill. I like to think of them as eyes – the eyes of the earth? 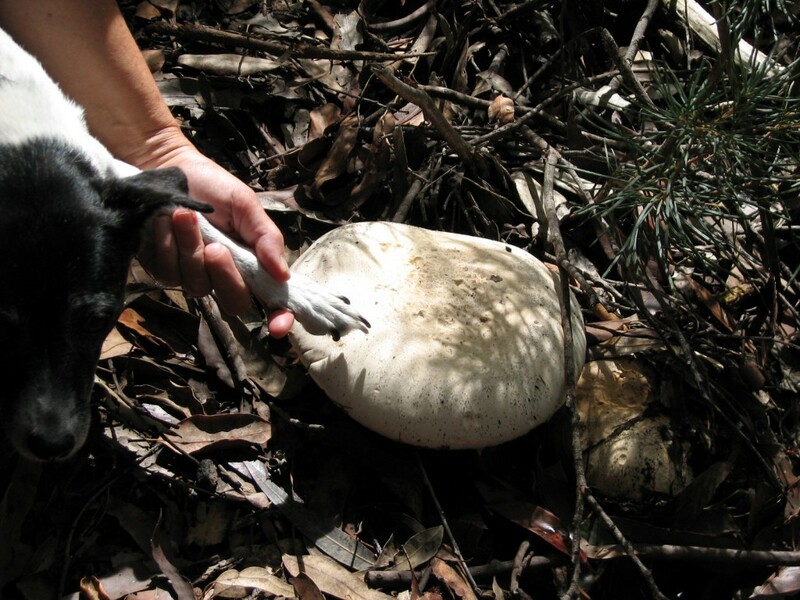 They are a kind of puffball, shooting spores through the central pore in the middle of the ‘eye’. 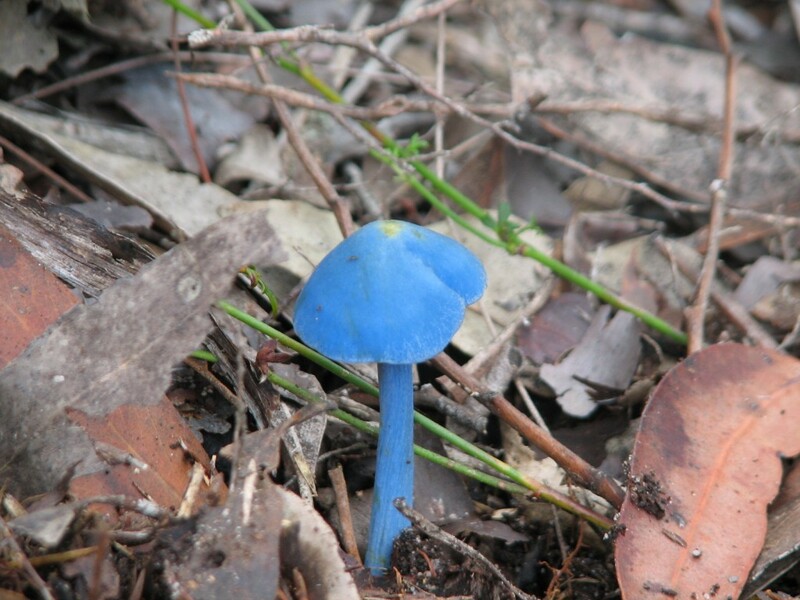 A patch of tiny, brilliant blue fungi. This is an uncommon one. It’s Entoloma Virescens. 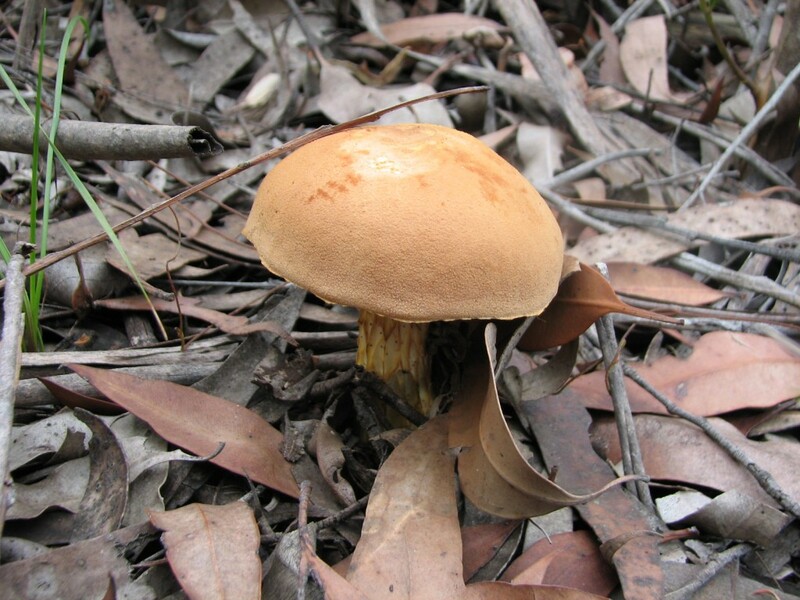 Omphalina – a gilled fungi. Literary mushrooms. I don’t know of a more famous evocation of ‘mushroom essence’ than this poem by Sylvia Plath, which captures the insistence of a humble survivor. Click here to listen. And the there’s the novel Puffball by Fay Weldon, which uses mushrooms as a metaphor for nature and fertility. Read a review here. This entry was posted in Uncategorized on April 6, 2015 by Jane Skelton.